Greenville, OH – Brethren Retirement Community will host a free “Lunch and Learn ” on Lung Cancer with guest speaker Dr.Manish Sheth, a Board Certified Hematologist and Medical Oncologist with a practice in Greenville. 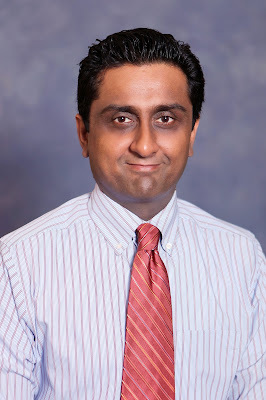 Dr Sheth is associated with Premier Health and participates in MD Anderson Cancer Network, a program of MD Anderson Cancer Center at Premier Health. As the leading cause of cancer deaths in both men and women in the United States, lung cancer kills more people each year than breast cancer, prostate cancer, and colon cancer combined. While smoking is the leading cause of lung cancer in the United States, environmental factors are also associated with lung cancer. The Lunch and Learn event will take place on Wednesday, October 11 at Brethren Retirement Community, in the Brick Room, at 12:00 PM. The program is free and open to the public. Seating is limited and reservations are required. Please call 937-547-7655 to reserve your space.